Joshua Sinai offers a good review in the Washington Times of Terrorism in America. Several mass casualty attacks have occurred in the United States over the past several years by ideologically extremist domestic terrorists. These include the shooting rampages by ISIS adherent Omar Mateen at the Pulse Nightclub in Orlando, Florida, on June 12, 2016, (49 killed, 53 wounded), and by the virulent anti-Semitic Robert Bowers against congregants at the Tree of Life synagogue in Pittsburgh, Pennsylvania, on Oct. 27, 2018, (11 killed and six wounded). In another type of domestic terrorist attack, Cesar Sayoc was arrested in Plantation, Florida, on Oct. 26, 2018, for allegedly mailing more than a dozen improvised homemade package bombs to his perceived liberal adversaries, including CNN (no casualties). What are the factors that motivate such ideologically divergent American-based terrorists to carry out their violent attacks against their adversaries? Are they part of organized terrorist groups or lone actors? What are future trends we can expect in the domestic terrorist threat and what are effective response measures to defeat them? 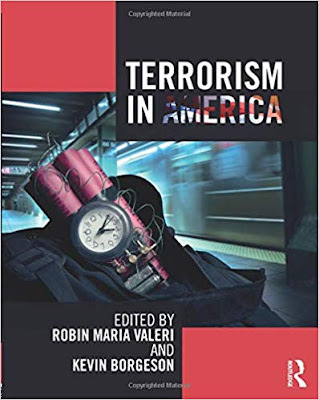 These questions are addressed in “Terrorism in America.” Although it’s an academic book with lots of academic theories by its eight contributors, its coverage from a criminological perspective of this subject is so insightful and detailed that it will also appeal to a broader audience that seeks to understand the magnitude of the domestic terrorist threats facing America.